Conservative MPs are avoiding the party’s autumn conference amid fears of a “bloodbath” atmosphere and bitter rows over Brexit policy. One pro-EU Tory MP said they were turning down invitations to speak on panels because they didn’t want to be the “sacrificial lamb” for angry pro-Brexit members of the party. 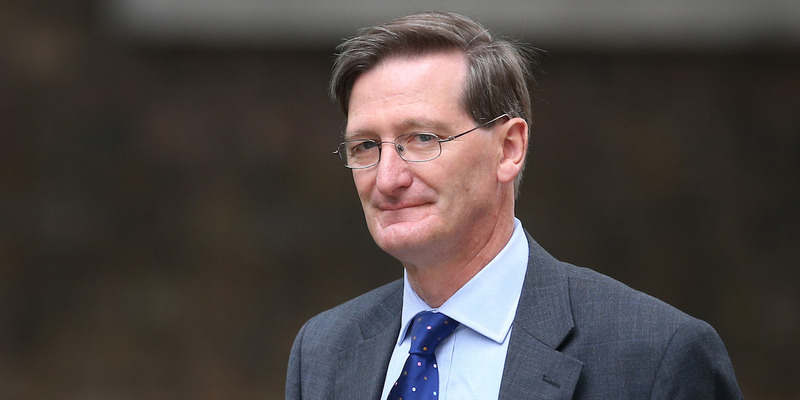 Leading Conservative Remain-supporting MP Dominic Grieve is missing his first conference for 25 years. LONDON – Conservative MPs are turning down invitations to speak at their upcoming party conference with some planning to skip the four day-event altogether, amid fears it will be a toxic “bloodbath” due to ongoing party disagreements over Brexit. Multiple Conservative MPs have told Business Insider they are taking part in as few panel events as possible at the party’s autumn get-together in Birmingham, in order to avoid what is expected to be a fractious atmosphere. Another Conservative MP told BI: “My firm intention is to avoid [conference] like the plague. My firm intention is to avoid [conference] like the plague. A source close to a senior Cabinet minister said it’s “the least they have ever looked forward to conference” with the party’s division over Brexit expected to produce heated exchanges in fringe events. “We’re expecting a fraught conference… the constant battle is wearing everybody down,” another pro-EU Tory source said. Dominic Grieve, the pro-EU MP for Beaconsfield, told Business Insider he won’t be attending the conference for the first time in 25 years. However, the former attorney general said this was because he would be abroad with the Intelligence and Security Committee which he chairs. Peter Macdiarmid / GettyDominic Grieve will be missing Conservative party conference for the first time in 25 years. It’s not unusual for political party conferences to be fractious, particularly when parties are dealing with internal conflicts of the sort which have challenged both the Conservatives and Labour in recent years. However, Conservatives are expecting a particularly heated get-together this year, with the party’s mostly pro-Leave membership unhappy with Theresa May’s plan to keep the UK to be closely wedded to EU markets and customs after Brexit, as outlined in the Chequers plan earlier this summer. ConservativeHome, the leading Conservative party blog, has reported swathes of grassroots Tories nationwide tearing up their membership cards and refusing to campaign for the party in light of May revealing her Chequers plan. City AM this week reported that members who are angry with May’s Chequers proposals are plotting protests in Birmingham, while some local branches are considering withholding long-standing loans to Conservatives HQ. Brexit is tearing the party apart and you’d have to be living in a cave to not notice that. Some Conservatives MPs who BI has spoken to this week said that while they fully expected a particularly fractious atmosphere, they had no plans to participate in fewer events than in other years. “Brexit is tearing the party apart and you’d have to be living in a cave to not notice that. “Members are passionate on this subject and that’s great. But sometimes passion can spill over into something worse,” one pro-EU Tory said.